Want to experience of Basque culture? Then check out the Hondarribi Town & Basque Sports Tour in Spain. Visit the castle of the Emperor Charles V.
Visit the beautiful country of Spain and take on a Hondarribi Town & Basque Sports Tour in which you’ll get to explore the scenic city of Hondarribi and learn its unique and fascinating culture. Learn the popular game of Jai-Alai, one of the quickest sports in the world in which the ball moves at 300 km/h, and even take on a match with the friendly locals. 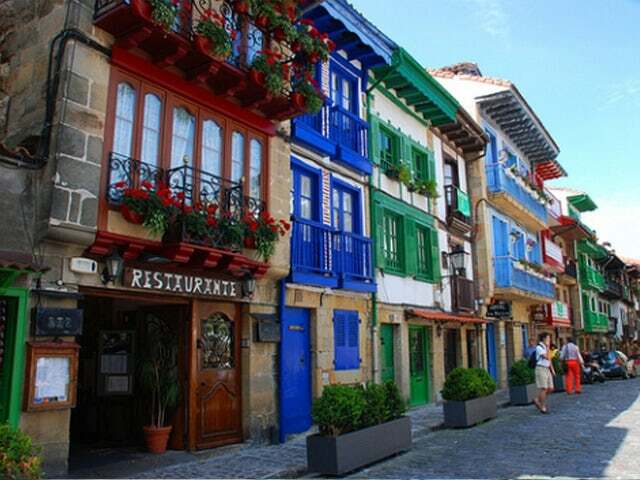 Hondarribi Town and Basque Sports Tour is an approximate 6 hours adventure that starts you off with a calming short walks discovering the beautiful streets and walls of the border town in Basque City. Get to visit the picturesque castle of the Emperor Charles V and learn fascinating history that surrounds it. You’ll be later on heading on to fronton Jostaldi where professional Jai-Alai players can guide and teach you the rules and techniques. To end your wonderful journey in Hondarribi, you’ll get to enjoy a meal of some delicious typical Basque foods. Call us now and have a most memorable time in Spain with Hondarribi Town & Basque Sports Tour!